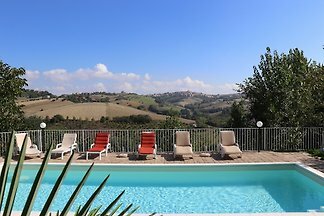 Holiday house with private pool in Le Marche up to 7 sleeps. It is equipped with wifi and air conditioning. 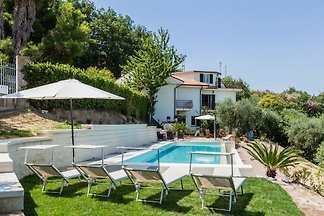 Villa with pool and wellness area with heated indoor pool in the hills of Ripatransone, just 20 minutes from the Adriatic coast. 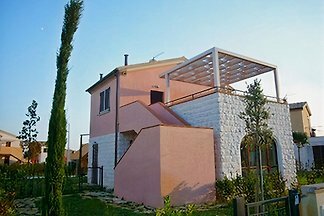 Villa Alessandra is a private villa with pool at few Km to the Adriatic Coast. 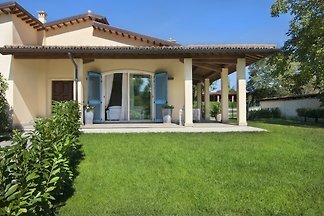 Luxurious villa with park and pool in Mondavio, just 20 minutes from the Adriatic coast, 7 bedrooms, 7 bathrooms, 400 m² living space, air-conditioning, satellite TV, Wi-Fi. 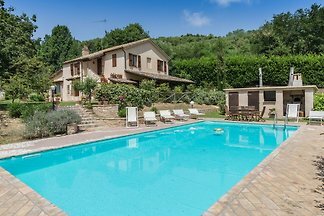 Villa with heated pool and sea views near Ripatransone, lovely countryside views, 5 bedrooms, with air-conditioning, sauna, whirlpool bath, WI-FI, sat TV. 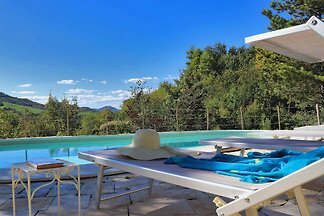 Villa Petra is a private villa with pool in Le Marche set on a panoramic position within the Park of Gola del Furlo, at about 30 minutes driving to the Adriatic Coast. 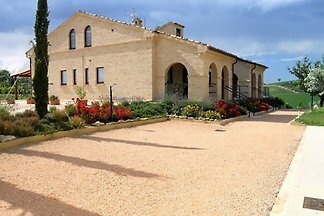 It is the ideal accommodation to spend an holiday a few steps from the sea, visit beautiful historic towns and stay in fully relaxation in the green hills of the Marche. 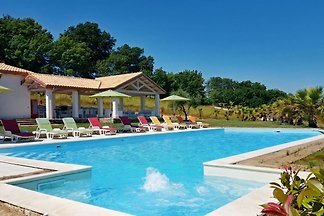 Holiday apartment in farmhouse with pool close to the beach and surrounded by an emerging tourist territory, full of villages and charming towns. 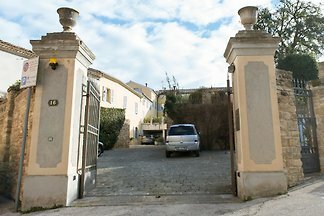 Spacious villa for a pleasant stay with family or friends, ideal for lovers of good Italian food and to discover lovely historic towns between the countryside and the sea. 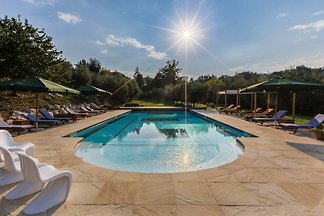 Villa Rossini is a beautiful villa immersed in a wide private park at few minutes to the coast and the city centre of Pesaro. Large private pool, pet-friendly, wi-fi. 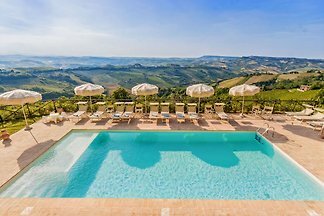 Villa Diamante is a private villa with pool located in Urbania, a town in Le Marche region. 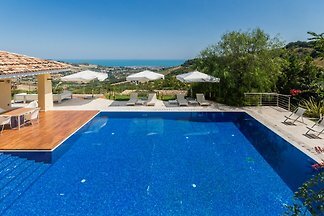 Stunning villa with pool and sea views in the south of the Marche, just 10 minutes from the beaches of San Benedetto del Tronto, with wellness area with Jacuzzi and sauna, WI-Fi. 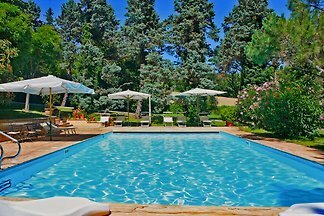 Casale San Basso is a villa with pool in Le Marche region, located at few km from Offida and the renowned Riviera delle Palme. Wi-fi and air conditioning area available. 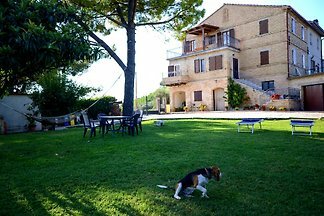 Very quiet location for a relaxing holiday, ideal starting point for exploring this part of the country, ideal for families and groups. Villa Eden with panoramic pool and wonderful sea view, just 7 km from the beaches of Pedaso. 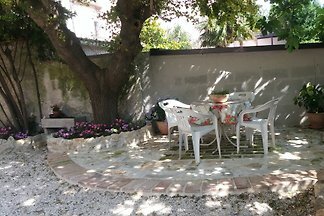 Villa with pool and sea view in the south of the Marche region, only 2 km from the Adriatic coast. from 5 17 holiday homes & accommodations in the Marches were rated with an average of 4.7 out of 5 stars ! Rent successfully your holiday flat or holiday home in the Marches in only 20 minutes !